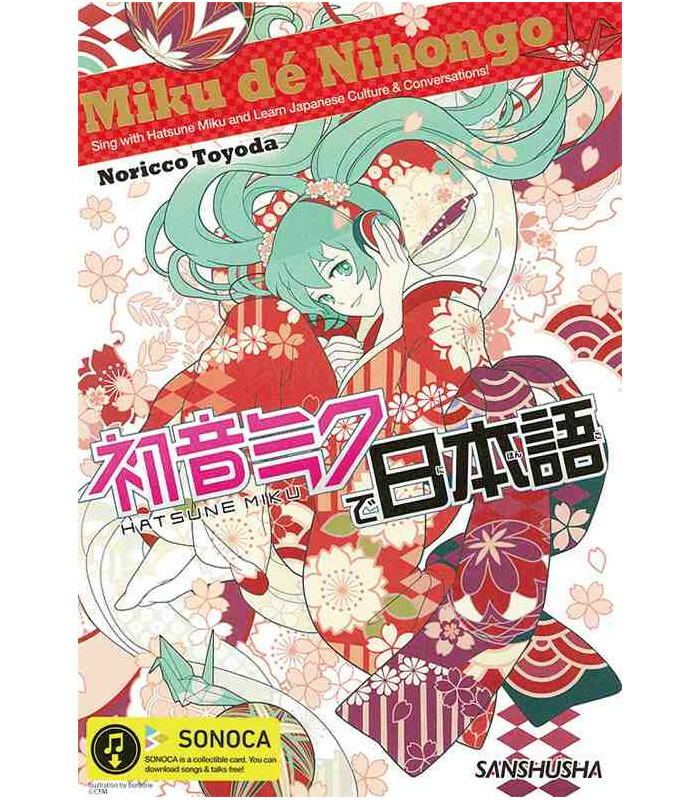 The songs and the extra audio file can be downloaded using this Sonaca link. You will be asked for a password which you will find on a card inside the book. 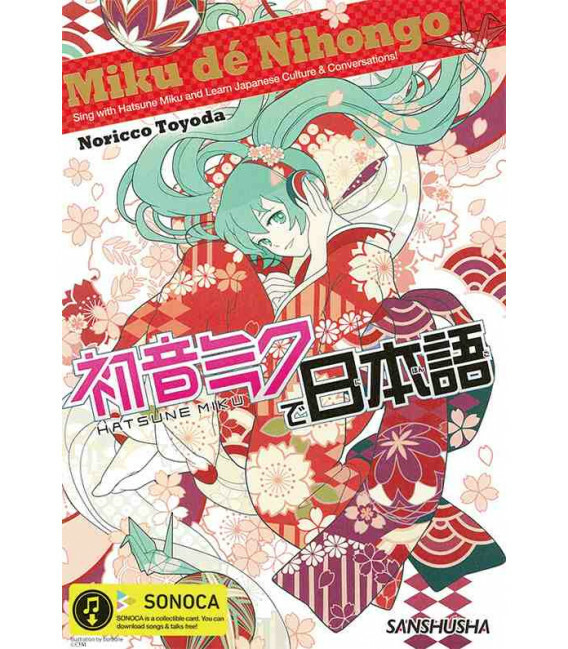 With Miku de Nihongo (Learn Japanese with Miku Hatsune), you can study Japanese by listening to the songs of the famous virtual popstar Hatsune Miku. Thanks to the layout of the book and the use of tables and other elements, its contents are easy to understand and very entertaining. 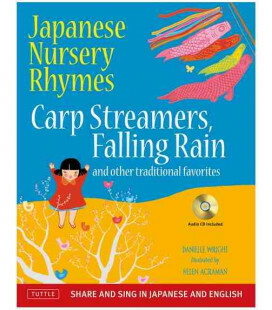 The book includes ten songs, one per chapter, and each with explanations regarding the Japanese language. - Extra audio files with explanations and exercises. One of audio files is an informal conversation; the other file contains the same conversation in a formal manner. The book contains some very useful appendices on grammar, conjugated verbs, adjectives and hiragana and katakana lists.